Lenders to ailing private airline Jet Airways will restructure loans under the ‘Sashakt’ plan for resolution of stressed assets outside the insolvency courts. SBI chairman Rajnish Kumar in a media call after Q3 results said there is effort going on to resolve (jet). It (Jet debt recast proposal) will go to screening panel at Indian Bank’s Association (IBA). The detailed will be revealed when it is finalized. The ‘Sashakt’ plan for resolution became operational in December 2018 after months of delay. Lenders are supposed to send resolution proposals under “the scheme” according to the terms and conditions of the inter-creditor agreement signed in 2018. Lenders to submit credit rating agencies’ reports, forensic reports, minutes of meetings, and summaries of resolution plans, among others. The panel will only look if process has been followed and will not decide on terms for restructuring package, senior banker said. The IBA has already identified six professionals to head an overseeing committee to validate the resolution process for accounts under Sashakt scheme. H R Khan, former deputy governor of Reserve Bank of India; M Damodaran, former chairman of Securities and Exchange Board of India; Janki Ballabh, former chairman of State Bank of India; and M B N Rao, former chairman and managing director of Canara Bank, are some of members of the panel. There have been reports that SBI may have 15 per cent stake in airline capital after part of loans are converted into equity. Rajnish Kumar declined to elaborate on how much stake bank will have in airline post-conversion. Jet is looking to raise fresh capital. Talks are underway with Etihad Airways, which currently owns 24 per cent stake in the airline for equity and with a State Bank of India-led consortium for conversion of debt to equity. 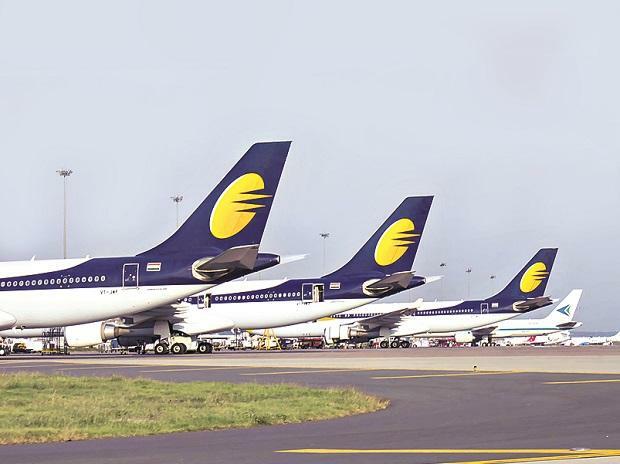 Jet would seek shareholder approval on February 21 to convert the existing debt into equity and increase the authorised share capital, as part of a plan to resolve its financing problems.